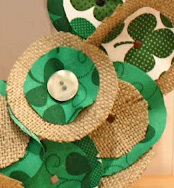 Get ready for the upcoming holiday with these seventeen St. Patricks Day crafts that are quick and easy to complete. 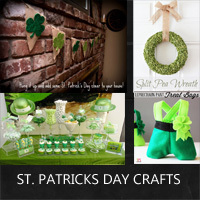 Find treat recipes, crafts and decor to help you celebrate St. Patrick's day in style. From a potent cupcake to a rustic tablescape - find it all! Decorate for St. Patrick's Day with a fun and festive wreath that is still chic enough to fit in with your decor. Be inspired by these seven ideas. 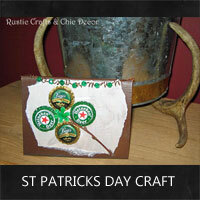 Make this St. Patty's Day decoration for the home bar. You may not be able to have green beer at home, but you can have fun decor made up of green beer caps!